Is a Ductless Mini-Split Air Conditioner Worth It? 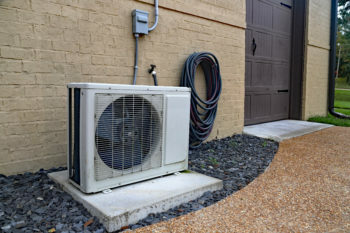 A ductless mini-split air conditioner is supposed to be a great way to stay cool during a hot summer, but are they really worth the money? Window air conditioners are way cheaper. What advantages will a mini-split deliver that a simple window unit can't? Cost. Now, I'm not talking about price, because window units are certainly cheaper. However, that low price tag comes with poor energy efficiency. Which means that while a mini-split costs more up front, it will save you a lot more money over time. Comfort. Effective air flow is an important component in determining interior air comfort. Placing your air conditioner for optimum air distribution is key. With a window unit, you don't have much choice. You either put it in an available window or cut a window unit-sized whole in your wall. Ductless units are much more flexible. They can go on just about any interior wall, and only need a small 3" hole to connect to the outside. Quiet. On any air conditioner, the compressor is the loudest part. With a window unit there is no getting around the fact that the compressor is always in the same room with you. You don't have to do that with a mini-split. You keep the compressor outside between an insulated wall and you. Convenience. Windows are much easier to look out of when a bulky window air conditioner isn't blocking your view. A ductless mini-split air conditioner means you don't have to sacrifice a window for your comfort. The mini-split air handler will be mounted up on the wall out of your way. 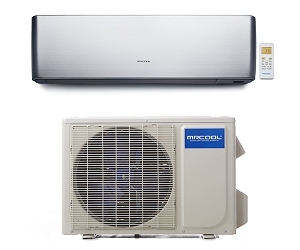 Do you have other questions about a ductless mini-split air conditioner or other HVAC products? Let us know in the comments below, on Facebook, or on Twitter! Your email address will not be published. Comments will display after being approved by our moderators. Comments may be edited for clarity.